and yes, I’m going to tell you why. a research center or gaming table. now waits behind your bedroom door. This entry was posted in Bedrooms, Uncategorized and tagged Bedtime, Image of bedroom, Smart TV on April 12, 2016 by lifelessons. Sometimes the most interesting thing about a bed is what is on it. Looks like those tigers got to this dog bed! When I got back from my writing retreat in December, Morrie had totally torn up Frida’s bed and left Diego’s untouched. Bad boy!!! 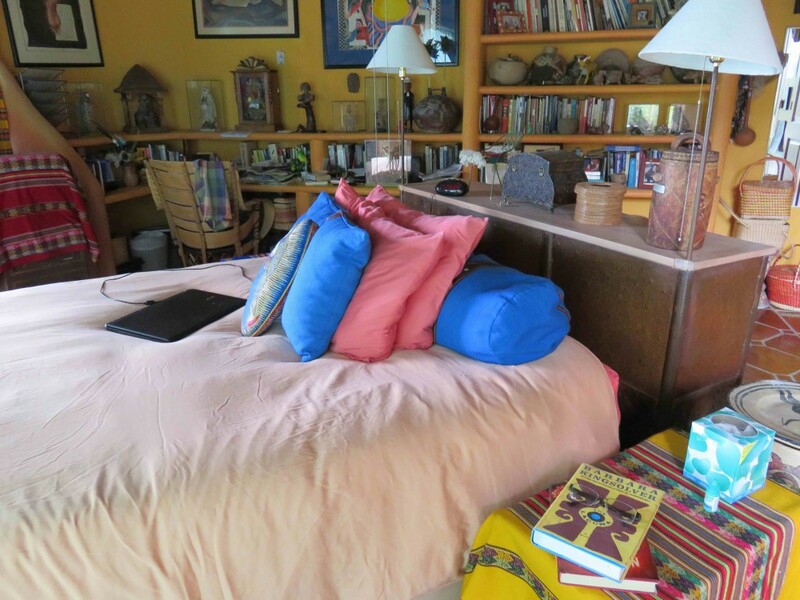 This entry was posted in Bedrooms and tagged bed, beds, Image of bedroom, One Word Photo Challenge on March 3, 2016 by lifelessons. all the things I need to buy, the listing never ends. everything that he can reach; but, especially, shoes! the other for the medicine I must give the pup. and an empty Kleenex box I know should be replenished. Flashlights, lanterns, batteries–for when the power goes out. In the rainy season, it will happen—have no doubt. for thoughts of organizing it make me want to swoon! sculptures on the mantel, in crannies and in nooks. for my room is not completed until I am in it! In response to The Daily Post’s writing prompt: “Clean Slate. Explore the room you’re in as if you’re seeing it for the first time. Pretend you know nothing. What do you see? Who is the person who lives there?